Buzz". A Celebration of British Bees and their Flowers by Valerie Littlewood"
Save Event: Buzz". 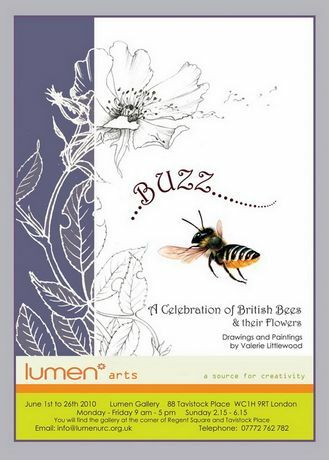 A Celebration of British Bees and their Flowers by Valerie Littlewood"
Share Buzz". A Celebration of British Bees and their Flowers by Valerie Littlewood"
An exhibition of paintings and drawing showcasing 24 British Bees and their flowers. Not just the Honey bee and the Bumble Bees but also the Solitary bees which are so important to our gardens, countryside and crops. The film The Vanishing of the Bees" will be showing and there will be bee, flower and wildlife information. "